Famous author Seth Godin has written nine books, all bestsellers that changed the way we think about marketing, change and work. He is responsible for many words in the marketer's vocabulary, including permission marketing, ideaviruses, purple cows, the dip and sneezers. A few of us have recently been reading his new (Oct 09) book “TRIBES: We Need You to Lead Us,” which explains how the Internet has eliminated barriers and enabled new tribes to be born. In less than 130 (A5) pages the book argues that lasting and substantive change can be best effected by a tribe: a group of people connected to each other, to a leader to an idea. Some of the chapter’s are quite repetitive as he drums home the principles of leadership and the importance of word of mouth marketing to create movements. However despite this repetition, we are all glad we took time out to read it as it relate to our passion of generating long lasting online relationships / communities for our clients. "It's clearly more fun to make the rules than to follow them, and for the first time, it's also profitable, powerful, and productive to do just that." 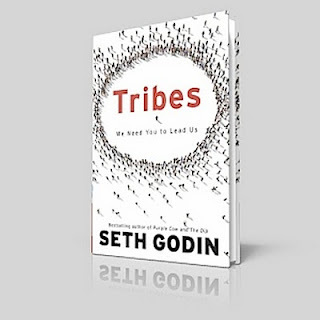 For more information on why you may need a Tribe enjoy this conversation on YouTube with Seth Godin on Tribes and why we all (may) need one. And if you need help forming your Tribe please do get in touch with the Flashlight team, to discuss online community forming further.